Less than a month after referring to the Isle of Wight as a ghetto with a mass of crime and inbreeding, the chair of Ofsted has resigned from his post. 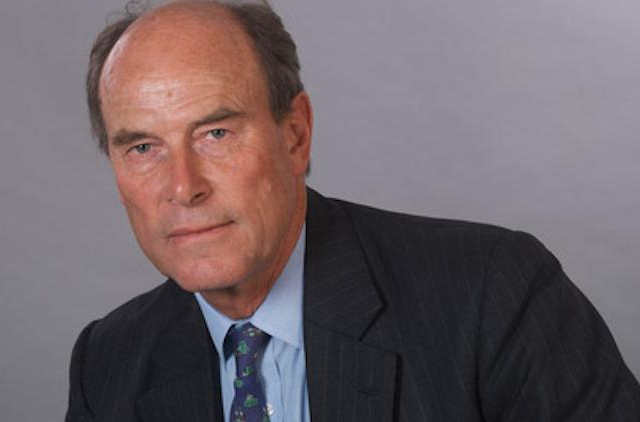 Chair of Ofsted, David Hoare, has resigned with immediate effect. The resignation follows the recent revelation by TES that Mr Hoare – during a speech at a teachers’ conference – incorrectly referred to the Isle of Wight as “a ghetto” with “inbreeding” and a “mass of crime, drug problems, huge unemployment”. After being asked by the Department for Education to apologise, he later said sorry for any offence caused and admitted his comments were inaccurate. Many on the Isle of Wight and around the country have called for his resignation, saying his position is now untenable. “I have today informed the Secretary of State that I will be resigning from my position as Chair with immediate effect. “It has been a great privilege to chair the Ofsted Board for the past two years. I am pleased that the organisation now has an excellent Board in place with expertise across all of our remit areas, including early years and further education. Senior Non-Executive Board member James Kempton has agreed to take on the role of Chair on an interim basis while the Secretary of State starts the process of appointing a permanent successor to Mr Hoare. “I have accepted David Hoare’s resignation from the post of Chair of the Board of Ofsted. “The Isle of Wight Council had welcomed Sir David Hoare’s offer to assist the Island by making sure that our challenges and problems are fully recognised. The council had been in constructive dialogue with his office to arrange his promised visit the Isle of Wight, and had a date in the diary for this, in order to better understand, recognise and acknowledge these challenges, faced by the Island. “I extend the same invitation to Mr Hoare’s successor, whomever that may be, to visit the Island in order to learn more about the challenges we face and ensure that Ofsted is playing the fullest possible part, working alongside the other agencies, to support the further improvement of educational outcomes on the Island; so that they too can assist us in ensuring that the challenges and problems are fully recognised. “I look forward to hosting them as soon as possible, so that we can continue our collective ambition to drive up standards and work constructively together for the benefit of Island children. “I called for Mr Hoare’s resignation two and a half weeks ago and I acknowledge that he has taken the difficult, but inevitable step of leaving his post as chair of Ofsted. Improving standards in education is central to Ofsted’s mission, but this can only be done through acknowledging and taking action to reduce the inequality of funding and expectations for all school children in England and Wales. “By describing the people of the Isle of Wight as a ‘white ghetto of inbreeding’ he has done much damage to the Island, and also other coastal towns and schools outside of the inner cities which have struggled to reach the highest standards in education due to geographical isolation, funding cuts and low expectations. “It is right that he has resigned after his remarks. “Clearly David Hoare’s choice of words in his recent comments about the Island’s children were ill-judged. He has now rightly resigned. “David Hoare had never been a teacher so we would not have expected him to have had a full understanding of educational issues on the Island. However, we do expect people in such positions to have at least some understanding of the complexities we face. “Mr Hoare’s comments were inaccurate, insulting and extremely unhelpful. He subsequently apologised for what he said and for offence caused to Islanders. I said at the time that he would never have dared make such remarks about an area with a high ethnic population, and I stand by that view. “The role of Ofsted is to help improve education, not demoralise teachers, insult parents and pupils and those involved in raising education standards. His resignation, albeit somewhat delayed was probably inevitable and clearly for the best. “I am pleased Justine Greening agreed with us that he could not continue and clearly made this point to him during their meeting. Comments from IW Labour party, NUT, Island MP Andrew Turner and council leader Jonathan Bacon added. 44 Comments on "David Hoare resigns from Ofsted after nonsense Isle of Wight ‘Ghetto’ comments (Update 4)"
What fiery words of wisdom will the leader of the Council make now that everyone else has made their point clear? In an interview alongside the the times education supplement editor on Lbc today I made this exact point about funding for the Island and coastal areas. I wonder what his next dinner party conversation will be about? Perhaps ” Infamy,Infamy,those Islanders had it Infamy!”. The fact that funding we are allocated is far less per child compared to the rest of the country, or even in parts of Hampshire, is scandalous and should be highlighted immediately. Education funding spending per child. Tower Hamlets £8,595 Isle of Wight £4,489. Channel 4 figures showed the discrepancy but County Press’s design is disorientation. I’m sure that they can produce figures anytime from their resources to suit their purposes. There is a discrepancy and that is why Channel 4 released their figures. This is a fight for funding, how about some help? Be interesting to see how Ofsted rated the City of London Schools seeing as they high up,on funding per pupil. Natural justice for the prat but surely the legacy of the Boy Pugh remains at the heart of this issue? On any occasion that OFSTED inspectors criticise an establishment for ‘poor leadership’ they have first hand knowledge of what it means. In spite of his words Mr Hoare appeared as unrepentant as he is ignorant. He should never have been allowed to resign but should have ignominiously dismissed. I’m just an inbred from a stud fuelled criminal ghetto! Carthago Delenda Est or as we say on the I.O.W. bye bye nipper what took you so long to go. Ostriches with their heads hurried in the sand. Too quick to take offence. So many non islanders completely get where he’s coming from. Greed. Laziness and stupidity ain’t going to improve this mafia run island. Feel free to troll but this is what so many consider the island to be. Back to the mainland for me. That must be awful for you. All of those people hearing you speak, noticing your accent and enquiring about your life. How dreadful. It must be a desperate trial. Here’s an idea, if you don’t like people asking about your Brum intonation, try living in Brum. No one asks about it there! I did not ask for his resignation. The press were baying for it and goading interviewees to demand his resignation. I sought the full retraction that we got, the correction of the false statements, which we got, plus the promise of engagement and assistance to deal with the problems we do have which I am confident will still happen. You may have misspoke, Jonathan, but on the TV they said should he resign, and you agreed that he should. That’s not calling for his resignation, but you did answer the question asked by the reporter. Jonathan,I hope you are right.Remembering about Cllr Stubbings at Shanklin Theatre on Island Line. Oh dear. A panellist on this week’s R4 News Quiz got a big laugh by saying “The largest constituency is the Isle of Wight, but with only 3 surnames”. As anticipated, looks like we will have to put up with this sort of thing. I hope they were deducted a point, the largest constituency is Ross, Skye and Lochaber! The Island is the constituency with the greatest population. But pedantry aside, at least by bearing the brunt of the inbreeding jokes, we’re giving the good people of Norfolk a break from it. Not all the consequences of prejudice are trackable, measurable or amusing, unfortunately.